Integrated silicon photonics incorporates microelectronics and optoelectronics, a combination expected to revolutionize a variety of fields such as communication, sensing, lighting, displays, imaging and detection. Silicon lasers are the key to achieve integrated silicon photonics. However, the optical gains of silicon are lower than those of III-V compound semiconductors by one order of magnitude or two, due to its indirect bandgap feature. Although the fabrication of matured III-V compound lasers on silicon substrates has been proposed to circumvent this problem, the development of all-silicon laser is desired for integrated silicon photonics due to better compatibility with modern silicon techniques. Recently, a joint research team led by Prof. X. Wu, Prof. M. Lu and associate Prof. S.-Y. Zhang from Fudan University developed the world's first all-silicon laser using silicon nanocrystals with high optical gains. First, they enhanced the silicon emission intensity greatly by developing a film growth technique for high-density silicon nanocrystals (Physica E, 89, 57-60(2017)). Then they developed a high-pressure low-temperature passivation approach, which contributed to a full saturation of dangling bonds, leading to increased optical gains that were comparable to those achieved by gallium arsenide (GaAs) and indium phosphide (InP). On this basis, they designed and fabricated distributed feedback (DFB) resonance cavities and successfully achieved optically pumped all-silicon DFB lasers. The optically pumped all-silicon laser also paves the way towards the realization of electrically pumped all-silicon laser. The optical gain of silicon nanocrystals was constantly enhanced as the passivation proceeded and eventually reached the value comparable to those of GaAs and InP. 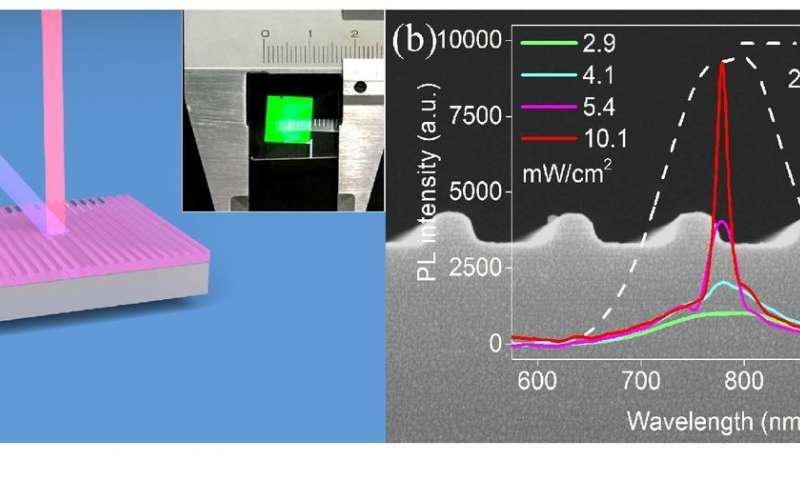 Lasing characteristics—the threshold effect, the polarization dependence, the significant spectral narrowing and small spread of divergence angle of stimulated emission—were fulfilled, suggesting the realization of an optically pumped all-silicon laser. The lasers also showed reliable repeatability. The lasing peaks of the four additional samples made under similar fabrication conditions were within the spectral range of 760 nm to 770 nm. The variation in the lasing peak was due to the slight difference in effective refractive indices. The full-width-at-half-maximum (FWHM) of the emission peak was narrowed from ~120 nm to 7 nm when the laser was pumped above threshold. If you need more information about Gallium arsenide,please visit our website:www.powerwaywafer.com,send us email at angle.ye@powerwaywafer.com or powerwaymaterial@gmail.com.